Experience the danceSing Difference by taking full advantage of our Taster week for just £10. 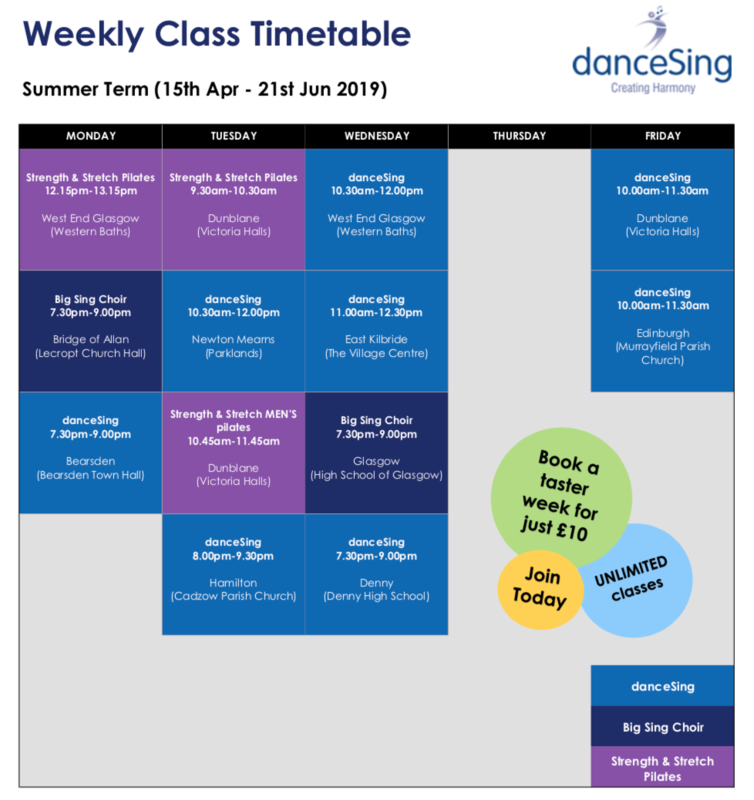 You’ll enjoy UNLIMITED access to ALL of our fantastic classes including danceSing, Big Sing Choir and Strength and Stretch Pilates across ALL of our locations for an entire WEEK. Our experienced danceSing leaders are all professional and friendly and are committed to making each and every ‘danceSinger’ feel comfortable and part of the group. And don’t worry… no experience is necessary, all of our classes are all suitable for beginners. 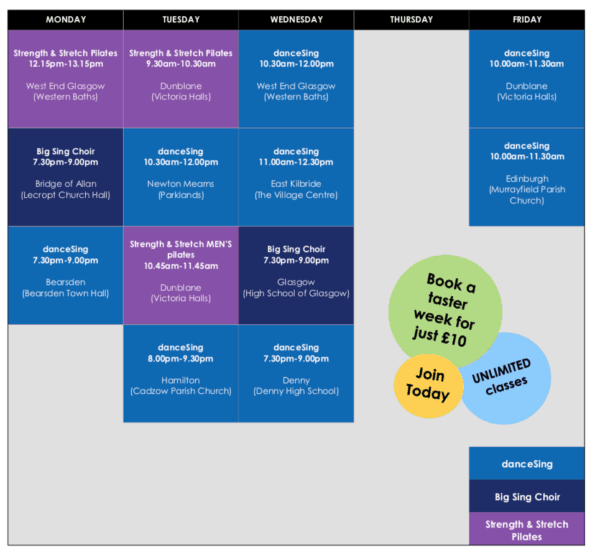 Simply choose your preferred taster week from the dropdown options below and using our schedule, tell us which of the classes you’d like to attend so we know when to expect you. 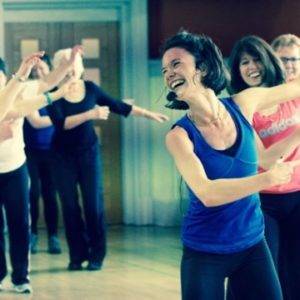 Places are limited so get booking and start your danceSing journey today… we look forward to welcoming you.